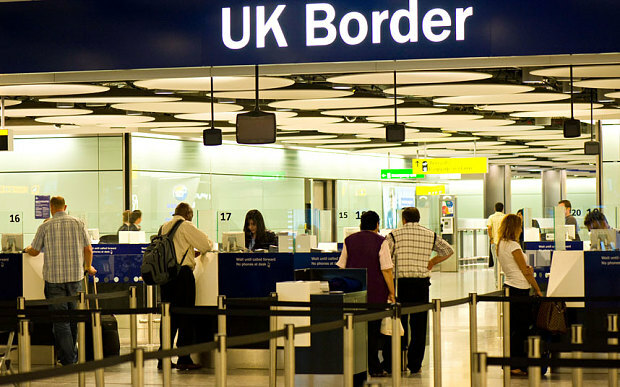 New data obtained by the Sunday Telegraph from the Home Office under the Freedom of Information Act shows that thousands of illegal immigrants are disappearing through the UK’s inadequate border control system every year. Particular weak points in the system include the Eurostar train service from Lille, and UK ports handling coach loads of visitors. During the past year, the newly released official figures confirm that 3,527 immigrants absconded after failing border checks: of these only 846 were later found. 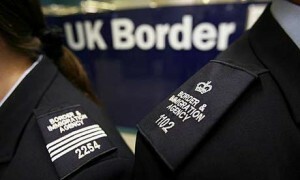 This of course means that almost 2,700 illegal immigrants remained at large even after having once been caught! The above figures clearly do not include those illegal immigrants who managed to slip through the net without being caught at all, nor does it include asylum seekers, bogus or otherwise. 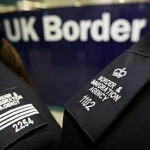 With the system in such chaos, the UK’s borders remain vulnerable to potential terrorists, though in any case such cases are usually recruited from within ‘British’ ethnic minority groups. While large ethnic minorities remain in Britain’s towns and cities, illegal immigrants will easily find a pool of similar types among whom to hide, and with whom to find work. A multi-ethnic Britain is inevitably a haven for illegal immigrants, including terrorists. An official UK Census form sorter in 2001 - no we are not joking! The first results of last’s years UK Census prove that our population during the past decade saw the biggest jump in recorded history. 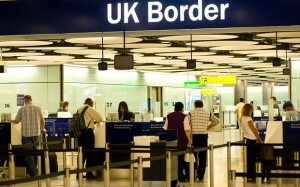 The surge is largely due to the immigration boom, in what was already an overcrowded country. Another factor is the high birth rate among non-European immigrant groups. England and Wales saw a 7.1% rise in population, from 52.4 million in 2001 to 56.1 million in 2011. Needless to say these figures do not include unknown numbers of illegal immigrants. Population density in London is now 5,200 per square kilometre – ranking alongside Madrid and Athens as the most densely populated cities in Europe. Moreover in the next fifteen years, official projections show that two thirds of the next population increase will come from immigrants: an extra 5 million people, equivalent to the combined populations of Birmingham, Leeds, Glasgow, Sheffield, Bradford, Manchester, Liverpool and Bristol. No 2011 statistics have yet been published about racial or religious matters. Click here for the latest official UK Census updates. In 1993 there were 3.8 million foreign-born people in the U.K., which was 7% of our population. By 2010 this had risen to almost 7 million, an astonishing 12% of the population. In other words there was a 22% rise in our migrant population, way ahead of neighbouring countries such as France, who experienced only a 3.4% rise. The England First Party asks why successive U.K. governments have allowed this immigration surge? English voters simply cannot trust the Labour, Conservative and Liberal Democrat politicians who have transformed our country without considering the views of the indigenous population. 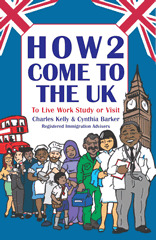 Click here to read the Oxford report on the immigration boom. It was one of the worst scandals of the New Labour years: in 2006 Charles Clarke was sacked as Home Secretary after admitting that more than 1,000 foreign criminals in British jails had been released at the end of their prison sentences rather than being assessed for deportation. Yet now in 2012 – two years into the Conservative – Liberal Democrat coalition that promised to remedy these New Labour abuses – we find that this scandal has not been remedied. The House of Commons Home Affairs Committee has today reported that of these 1,013 immigrant criminals, only 397 have been removed from our shores. 57 have proved impossible to trace and – most shocking of all – the remaining 559 have been allowed to remain in this country, either indefinitely or while their cases continue to be looked into! The problem goes well beyond these thousand or so criminals from 2006. Of more recent cases, only around two thirds of foreign prisoners released in 2011 have been deported, and there are another 2,670 dating back more than two years who have not yet been removed because they are still appealing. Around 120,000 immigration cases, according to the committee, have been written off because those involved can no longer be traced. The asylum backlog still contains a further 20,000 unresolved cases. The England First Party would make a more fundamental criticism: the entire immigration racket should have been terminated long ago. 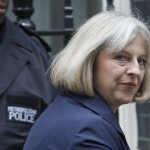 Our country has become a soft touch for any crook or scrounger who manages to cross the border. On 8th October 2011 Peter Rushton, assistant editor of Heritage and Destiny, chaired the sixth John Tyndall Memorial Meeting in Preston, Lancashire, and gave the following address. John Tyndall led the nationalist movement from obscurity to the forefront of British politics, but he knew that anyone involved in our cause must experience the depths of crisis as well as the heights of achievement. 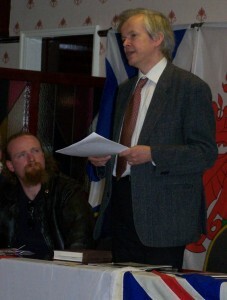 As National Front chairman, as founder of the British National Party and as editor of Spearhead for more than forty years, he knew both triumph and disaster – and for the six years between Nick Griffin’s takeover of the BNP in 1999 and his own death in 2005, John Tyndall consistently argued that those who were increasingly sceptical of Griffin’s leadership should remain within the BNP and fight to recapture it. The position of British nationalism today requires a reassessment of that position. We now face the most serious crisis in the history of our movement. On Monday night the BBC will broadcast allegations of fraud against the BNP chairman Nick Griffin and his cronies. I have no doubt that those allegations will be fully documented, with evidence provided from people who until recently were Mr Griffin’s closest associates. But none of this changes the underlying political realities. None of this changes the more serious crisis, which is the one facing our people and our nation – in fact facing all European peoples and nations. None of this changes the potential for a nationalist party capable of presenting a credible face to the voters of England. For the first time since 1066 our country’s population growth is mainly due to immigration, with a disastrous impact on schools, on the chronic shortage of affordable housing, and on the National Health Service. The political establishment has never consulted the English people about this radical transformation of our country: a transformation that has been accelerated because just as foreigners have been arriving, increasing numbers of indigenous Britons have been leaving. Let’s dispose of the nonsense that this is all perfectly normal, that England is some sort of mongrel nation built up through immigration. The truth is that our population grew steadily up to about 1750, and very rapidly after 1750, without any mass immigration – until after the Second World War. Our population in 1541 was about 2.7 million, which grew during the relative peace and stability of the Elizabethan age to about 4 million by 1600. Over the next century and a half our population grew quite slowly to about 5.7 million by 1750. Interestingly it is assumed by demographic historians that this 1750 figure was probably lower than the total English population in 1300, when there were probably more than six million inhabitants of England. The total British population was reduced by about 30% by the Black Death in the mid-14th century, so by the 1380s was only about 3 million. It was the Agrarian Revolution followed by the Industrial Revolution that led to a population boom, so that by the early 1840s the English population was around 15 million: more than double its previous record and more than five times the population a century earlier! We hear a lot about the economic benefits of immigration, but the Huguenots were one of the very few examples where this is true, bringing with them not only capital assets but skills in weaving, hat making and watch making. There were about another 40,000 immigrants from France as a result of the Terror in the 1780s and 1790s after the French Revolution. Strangely enough it was this wave of immigration, causing concern that some revolutionary spies might be smuggled in among the immigrants, that led to the first ever English laws regulating immigration. Until the 1790s this was never thought necessary, because the numbers of immigrants were so small. Far from our country being a creation of waves of immigration, immigrants were such an insignificant factor that no one bothered to formulate regulations! Until the late 1940s the overwhelming majority of immigrants in England were Irish immigrants. A few thousand black immigrants arrived as a result of the slave trade, but hardly any interbred with the indigenous English population. If you read the Sherlock Holmes stories you will occasionally find reference to another type of immigrant who could be found in Victorian England – the so-called “Lascars” who usually lived in dockland areas such as Limehouse, having arrived as crew members of British ships trading with the Far East. A few female Asian immigrants were known as “ayahs”, nannies for East India company officials, or later officers of the British Raj. You can imagine why ­– given this historical context of very low immigration – Englishmen were very concerned by the tidal wave of Jewish immigration at the end of the 19th century. About 150,000 Jews from Russia and Eastern Europe settled in Britain between 1880 and 1914, the majority in a fifteen year period between 1891 and 1906. Just as the French Revolutionary immigration in the 1790s had led to a brief period of immigration control, it was this Jewish immigration that led to the basis for modern immigration laws, the Aliens Act of 1905. It wasn’t a matter of “anti-semitism”, more a question of the scale of this Jewish immigration being way beyond anything our country had previously experienced. We were not a nation of immigrants. Even in the period between the two world wars, and even accounting for the number of colonial troops who stayed in England after 1918, immigration was a very minor factor in English life. Only about 6,000 to 7,000 immigrants from the Indian sub-continent settled in Britain during the whole period from 1918 to 1939. As is obvious, the scale of immigration post-war dwarfs anything previously seen in our history – which is not surprising because the British Nationality Act in 1948 explicitly granted the right of entry to 800 million subjects of the British Empire worldwide. Madness, you might think – or was it wickedness? Even in those days it was known perfectly well that a sane immigration policy would have to be a racially conscious policy. As we have a former Bradford city councillor with us today, I should mention that two of those Labour MPs who spoke out against immigration in those early days were from his city: Frank McLeavy, later Lord McLeavy, MP for Bradford East, 1945-66; and Meredith Titterington, Bradford South, 1945-49, former Lord Mayor of Bradford. Since those days, the element within the Labour Party that truly aimed to fight for the white working class has steadily diminished, even as the truth of their warning that immigration would lead to “discord and unhappiness among all concerned” has been demonstrated time and again (most recently with the riots a few weeks ago). Nationalist parties have become the true representatives of white workers. While in many ways very different men with different outlooks, Oswald Mosley, Enoch Powell and John Tyndall spoke for Englishmen and English interests that the Labour Party (and of course the Conservatives and Liberals) have abandoned. So it is with a heavy heart that nationalists must face the fact that we ourselves have been betrayed by the leadership of our largest nationalist party. In Ancient Rome provincial governors had to disarm themselves before crossing the River Rubicon and re-entering Roman territory. To march across the Rubicon with your army was to challenge the leadership of the Roman Republic and was treason, punishable by death. In 49 BC Julius Caesar deliberately defied his leaders by taking his army across that river, and still today we speak of “crossing the Rubicon” as an irreversible step when we boldly choose to confront destiny. On Monday night we will cross the Rubicon. Whether we like it or not, events will carry all serious nationalist activists across the Rubicon and force us to face facts too long ignored. The leadership of the British National Party will be exposed for criminal fraud, which tragically cannot avoid staining every member of that party, regardless of their personal honesty and decency in the vast majority of cases – everyone who represents that party at any level will be tainted. Many people have had to wrestle with a conflict of loyalty, and most especially with the knowledge that breaking away from the BNP, exposing the division of our movement to public view, trying to build a new movement out of the wreckage of the old, would be a titanic endeavour. After Monday all such conflicts, all such strategic calculations will be settled. It will simply no longer be possible to argue that somehow the BNP leadership can be persuaded to see sense, somehow our difficulties can be patched up. on the other the vast majority of decent and committed patriots. Let us as nationalists find the courage to put away childish things and confront reality. We will not succeed in building a new post-Griffin movement by pursuing narrow factional agendas. It seems to me unquestionable that none of the alternative parties currently operating will be big enough to take on this task alone. I therefore call on the leading activists in British nationalism to make a complete and irrevocable break from Nick Griffin and his party. To make the tough choice to cut loose from the BNP before its corrupt leadership drags down even more good nationalists. Precisely because our national crisis and our racial crisis has moved on to an even more acute stage, the challenge is in some ways even greater than that faced by John Tyndall during the creation of the National Front and the British National Party. But the potential prize is greater too, as so many of our people are permanently disillusioned with Lib, Lab and Con. We have absolutely no chance of capturing the loyalty of those disillusioned voters while our own movement is mired in corruption. Yet if we can find the courage to cut out that cancer, our recovery can be rapid and our future can be bright. 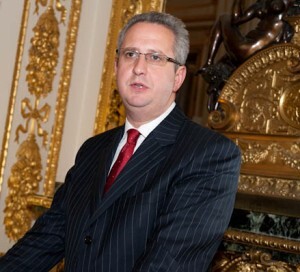 Bury South MP Ivan Lewis is the latest Labour spokesman to try to rediscover Labour’s links with English working class voters. Mr Lewis is “shadow culture secretary” in Ed Miliband’s shadow cabinet, and his outspoken comments come in a new volume of essays The Purple Book, published this week in advance of Labour’s conference at Liverpool at the end of September. The title indicates an attempt by leading figures in Tony Blair’s New Labour to come to terms with the so-called “Blue Labour” critique of Blairism. “Blue Labour” was a set of ideas associated with the Jewish academic Maurice Glasman (now Lord Glasman) and Searchlight‘s favourite Labour MP Jon Cruddas. Their central insight was that in the pursuit of middle class floating voters, combined with liberal politically correct obsessions, New Labour had jettisoned the traditional values of their movement and was no longer seen by white working class voters as representing their tribal interests. Britain is not an outpost of the UN. We have to put the people in this country first. The people who live here are the highest priority. We’ve got to listen and be with them. They’re in the right place – it’s us who’s not. The party’s instincts to be internationalist, liberal and champions of multicultural societies jar with the growing sense of insecurity of citizens buffeted by rapid economic and social change. Mistrust about Labour’s instincts and values on identity is one of the reasons why voters have rejected social democratic parties all over Europe. a system which to some appeared to favour receiving benefits and choosing not to work and irresponsible bankers who caused the financial crisis but continued to receive excessive payoffs and bonuses while everyone else was paying the price of their recklessness. Others felt migration was changing the nature of their community and undermining Britain’s way of life. a Labour Party activist base that while becoming diverse still does not sufficiently look like Britain. Labour and the previous Tory governments should have acted earlier to tackle radicalisation in some Muslim communities by adopting a zero tolerance approach to anyone including religious leaders who preached hate, and by refusing to legitimise organisations unwilling to condemn extremism or the use of violence. Notice Mr Lewis’s careful language. He isn’t just talking about anti-British terrorism, he is insisting that organisations must condemn “the use of violence”. 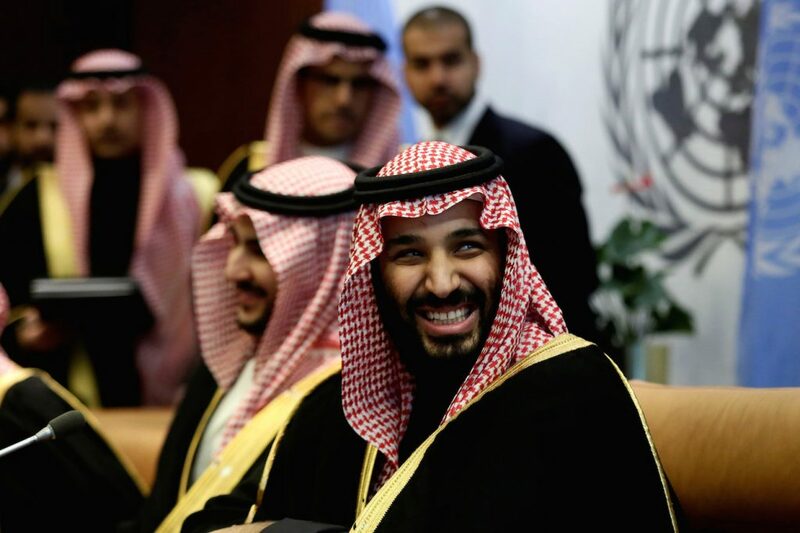 It’s a fair bet that he doesn’t want to condemn the violence of the Israeli government in their assault on Gaza, and certainly not condemn the six decades of Zionist violence that forged the piracy of Palestine. No: it’s a safe bet that Mr Lewis aims to force British based organisations to condemn anti-Israeli violence, in other words to take sides with the Zionist state against the people of Palestine and Lebanon. The abandoned English working class are hoping for decent housing, jobs and health services; a crackdown on crime; and the reversal of more than half a century of mass immigration. But Mr Lewis pays lip service to these concerns, while pursuing quite another, utterly alien agenda. New projections published today by Leeds University show that ethnic minorities will make up a fifth of the UK’s population by 2051, rising from 8% in 2001. The researchers also predict that ethnic minority populations will expand especially rapidly in previously white and affluent areas. The proportion of the UK population classified as “white British” will shrink to 67.1%. While keen to welcome diversity, the Leeds academic team’s contempt for English identity is evident from their inability to spell the Lancashire boroughs Darwen and Hyndburn. Was this author was too scared to accuse the Cultural Marxists running New Labour of outright treason? The info obtained by Migration Watch in their Freedom of Information request proves, not just treason, but attempted genocide of whites within the British Isles. Racial nationalists have been vindicated. Telegraph Blogs, 10 Feb 2010: Incredible. I am stunned. Back in October Andrew Neather, a former Labour party speechwriter, let the cat out the bag when he said that the Government had encouraged immigration “to rub the Right’s nose in diversity”. But while Neather quickly backtracked, documents now released under the Freedom of Information Act suggest that he was telling the truth. Rather than being the result only of incompetence or a short-term economic measure to reduce inflation, Labour’s policy of runaway immigration was a deliberate and cynical attempt to change the face of British society.